BJP ministers, leaders and the chief minister keep saying that they will run the government even if the Sena pulls out. How are you going to run the government?" Raut asked. MUMBAI: A day after a Shiv Sena MLA claimed that a senior BJP minister in Maharashtra had offered him Rs 5 crore to join the BJP, a senior leader of the Uddhav Thackeray led party said the alleged 'offer' should be probed. Harshwardhan Jadhav, Sena MLA from Kannad in Aurangabad district, had alleged that a state minister had given him the offer at his official residence near Mantralaya late last month. The BJP had dubbed the charges as baseless. 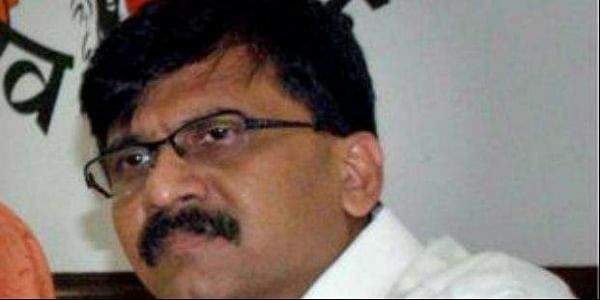 Jadhav made the statement (that he was offered Rs 5 crore) with full responsibility, Sena leader Sanjay Raut told reporters here. "BJP ministers, leaders and the chief minister keep saying that they will run the government even if the Sena pulls out. How are you going to run the government?" Raut asked. "From where does such a large amount come? You don't have money for farmers' loan waiver and for development work, but you are ready to buy MLAs for Rs 5 crore," Raut said. Your (BJP) MPs and legislators keep making false allegations against the top leaders of Sena and seek probe by the investigating agencies, he said. Now in this case, will a letter be sent to ED, CBI and ACB for an independent inquiry? Raut asked. "The money you (BJP) have is black money. This should be probed," he said. Jadhav had said that the minister told him that the BJP was frustrated with the Shiv Sena due to their bickerings and was looking at getting rid of that party by increasing the number of BJP MLAs. He told me: we are trying to give every Sena MLA Rs 5 crore to quit that party and contest the bypoll as BJP nominee, Jadhav had alleged. The Rs 5 crore offer was for election expenditure, he had said. Reacting to the claim, the BJP had accused the Sena MLA of indulging in a farce. "All these are baseless charges. The BJP does not need to do such things," state BJP spokesperson Madhav Bhandari had said.